Camp Hardtner is an American Camp Association (ACA) accredited camp, evaluated against nearly 300 standards to earn accreditation status. Safety starts first and foremost with our Permanent Staff counselors. The Permanent Staff members are at least 18 years old, have completed a year out of high school, and undergo thorough background and reference checks prior to employment. Each year, staff are carefully selected with regard to maturity, sensitivity, and integrity as role models. 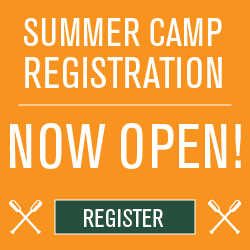 Many are former Camp Hardtner campers themselves, so they know what it’s like to go to camp for the first time. Nearly a week of staff training is conducted at the beginning of the summer which includes training on policies, procedures, and emergency protocols as well as First Aid & CPR certification. Each session is staffed by one or more licensed, on-site medical volunteers (RN, PA, or MD) responsible for the administration of routine medications and the treatment of minor illnesses and injuries. Affectionately known as “Nurse Call,” after each meal and before bed is time for regularly scheduled visits with the medical staff at the infirmary. This is when scheduled medications are administered and when non-emergency medical needs are addressed. The infirmary is stocked with many over the counter medications, bandages, and other first aid supplies. In case further medical attention is necessary, Camp Hardtner works closely with local clinics and hospitals to provide the best care possible.